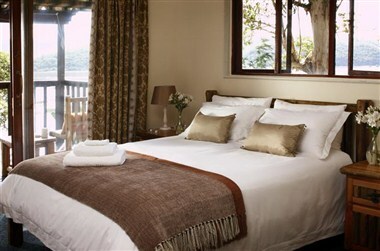 Phantom View Lodges is the ideal place to explore and enjoy all the beauty and adventure activities the Garden Route has to offer. Excellent all-year round weather makes the resort perfect for family holidays and small tour groups. 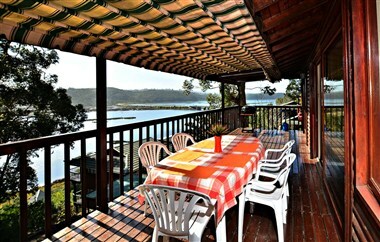 Our Spacious, self-catering wooden chalets on the Knysna Lagoon offer Forest Accommodation on the edge of the Knysna Lagoon with uninterrupted views of the lagoon, the river and the Outeniqua Mountains. 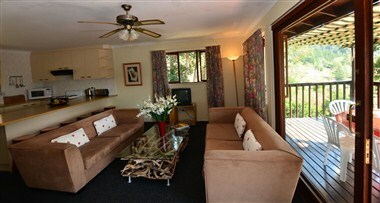 The two-storey timber chalets are well-appointed with wide shaded wooden verandas and large entertainment areas. 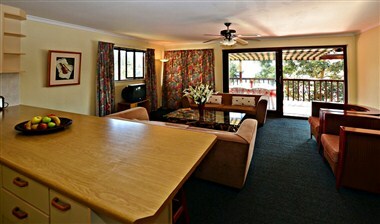 The lagoon-side timber chalets have wide, shaded wooden decks and large entertainment areas. They are fully equipped, two-story, 2- and 3-bedroom units.